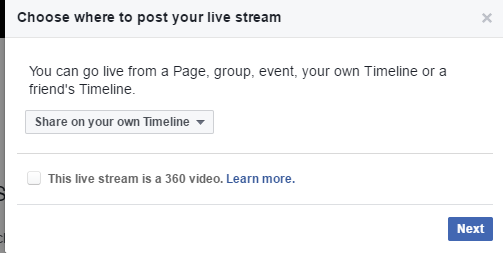 Facebook previously supported RTMP streams from external sources on their Pages section. 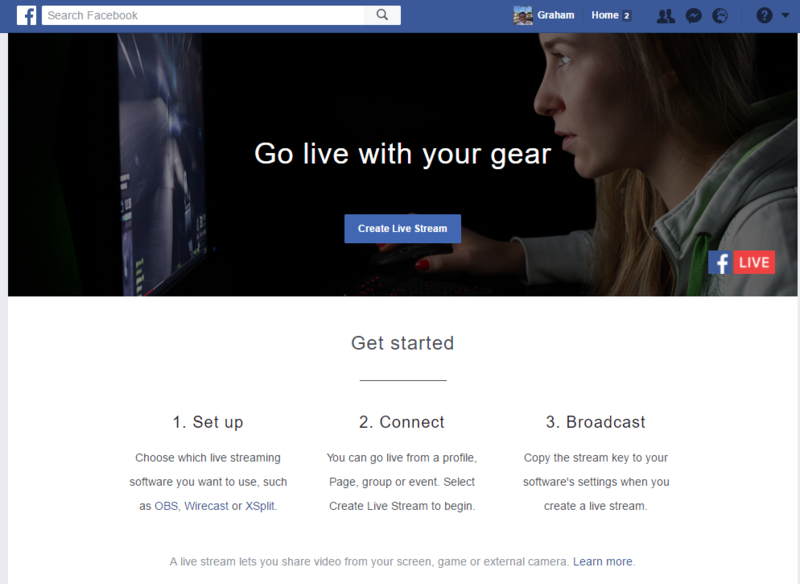 However as of April 2017, any user can now stream out to their personal page. 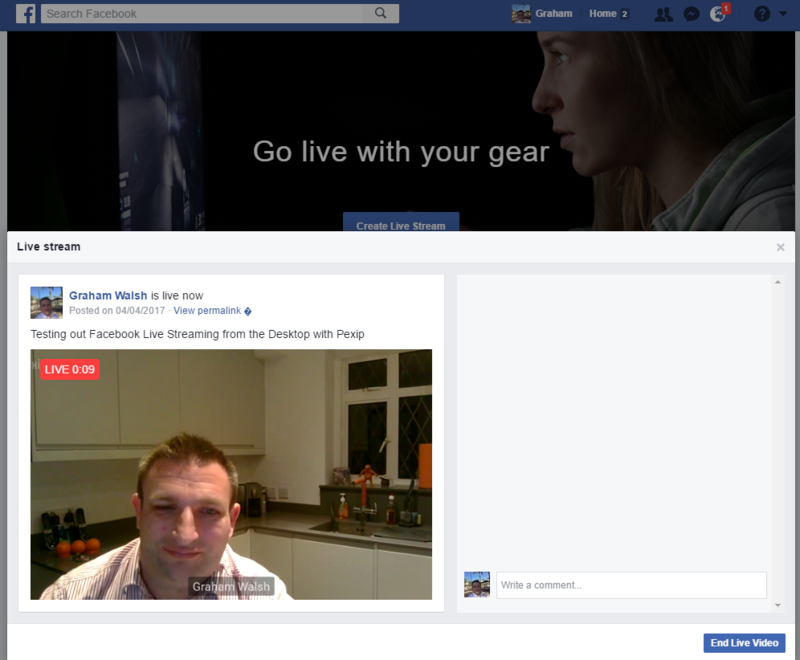 Below I will show you how to enable live streaming on your personal account, no need for Pages section. 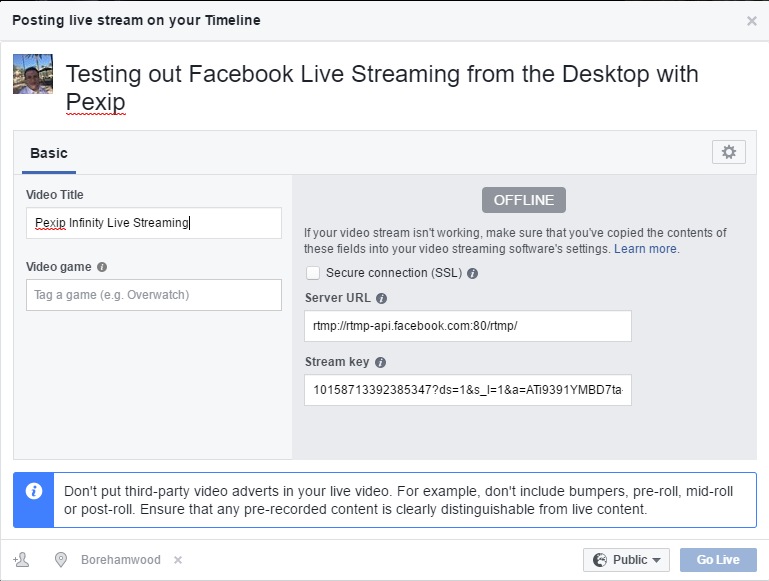 Facebook will then most likely to ask for permissions to access your webcam and mic. Allow this for now. 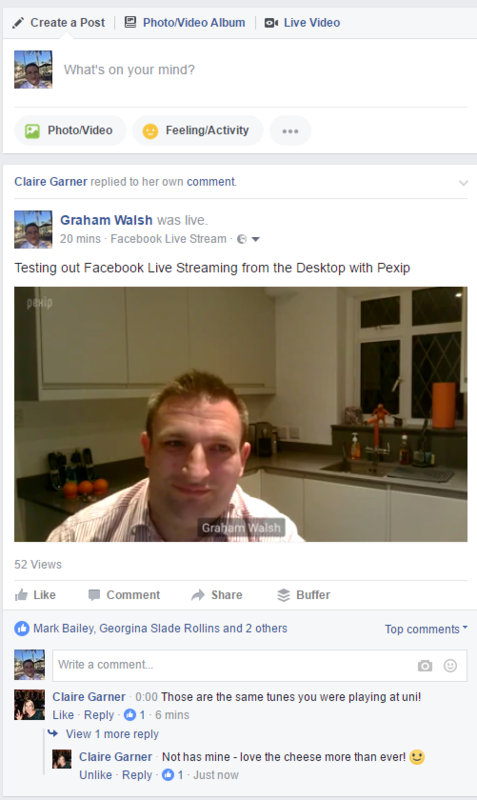 Then click on To share live video from an external device, click here (highlighted in yellow below). Now you can select where you want to stream to and the viewing permissions. Once selected, click on Next. 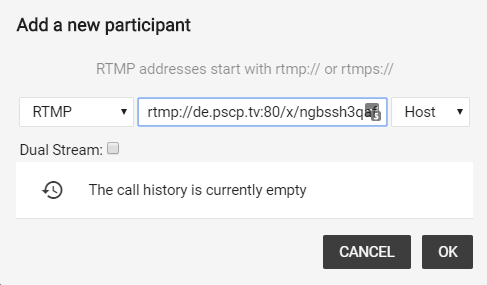 You will now have a RTMP URL to copy and paste into your Pexip Virtual Meeting Room. Take the URL and Stream Key and make it into one long URL. Make sure you do not select Secure connection as that is not yet supported. 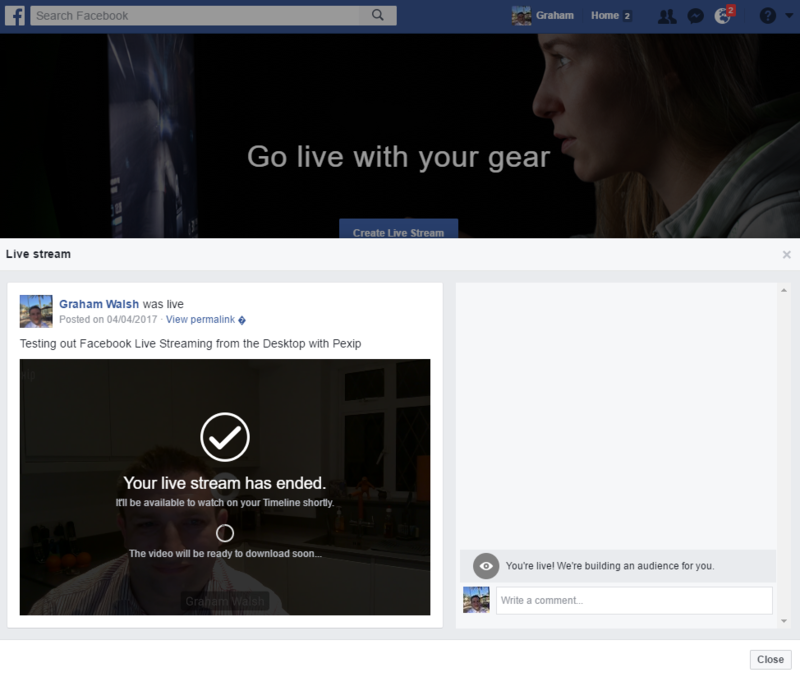 Once connected, you may see a preview of the live stream and click on Stream. 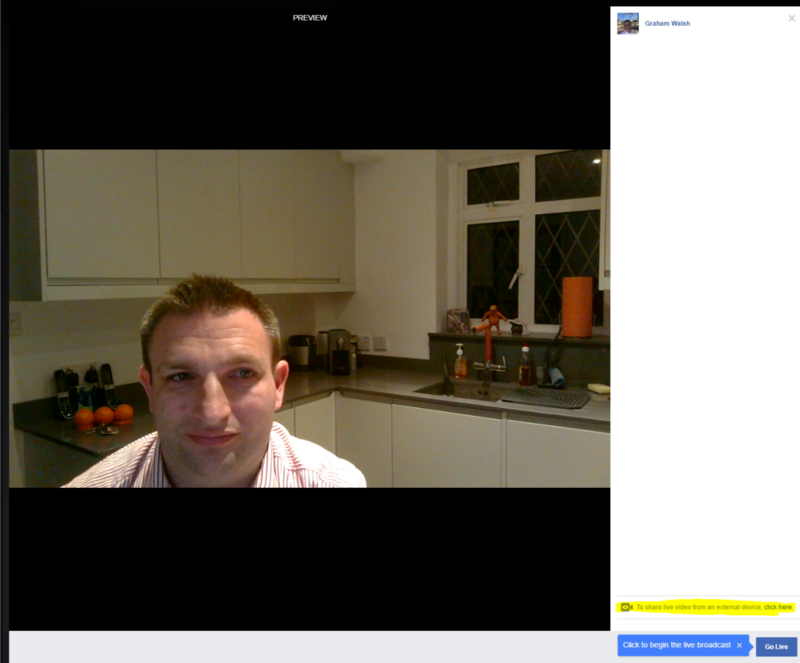 You will then see the live stream and any viewers and comments on the right hand side. When you have finished your live stream, you will have the ability to download it if you want. 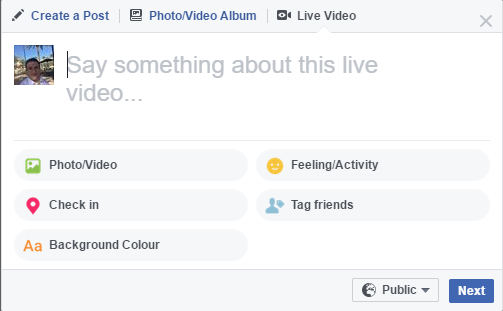 You will then see your video in your profile and timeline and people can view it at a later date.